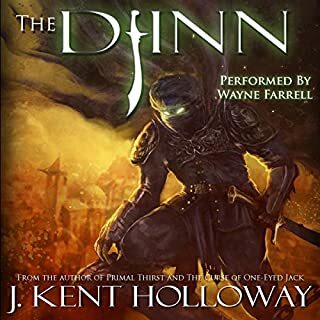 Would you listen to The Djinn again? Why? Yes. This was an amazingly well written and well read story. I think I've found a new author to follow! There are layers and layers of subtlety to Wayne's performance. For example, one character who is a leper had an ever-so-slight mushiness to his words. The characters were easily discernible. yup. and I basically did. more detailed review to follow on my blog. I'm so glad I listened to this! The island kingdom of Rotundia is normal in every way but one - all the animals are the wrong sizes. 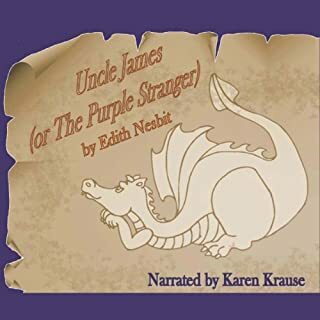 And when a purple dragon finds its way to the island and desires the princess as a birthday present, young Tom the garderners son, along with his lap dog sized elephant Fido, must find a way to save her. 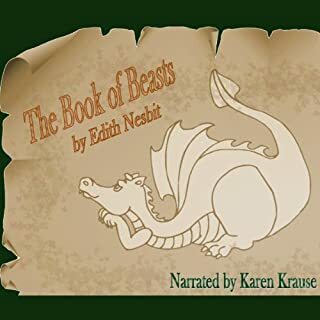 Edith (E.) Nesbit was a master at weaving imagination and real life into timeless fairy tales, with fantastic mythical creatures, princes and princesses, magic, and just the right touch of silliness. Yes, if they had kids. This is the kind of story kids, esp elementary school level, will eat up. Two things: 1. There was a bit more of a modeling of good behavior in this book, which is important in kids stories and lent more contrast to the villain. 2. The princess was clever, which I appreciated. Karen does a really nice job of differentiating her characters. You really never have any trouble telling who is who. My 6 year old really enjoyed this a lot. If you have kids, this is well worth the listen. Adults may find the story itself to be a bit too much below their level but it's really geared, in my opinion, for the younger audiences. A young king finds a magical book once owned by his great-great-great-great-great-grandfather and unwittingly sets a wicked beast loose in his kingdom. Now he must find a way to best the beast and win back the love of his subjects. Edith (E.) Nesbit was a master at weaving imagination and real life into timeless fairy tales, with fantastic mythical creatures, princes and princesses, magic, and just the right touch of silliness. The Book of Beasts is the first in a series of fairy tales with a common theme: Dragons! OK, I'm going to write this review free-form. The questions posed by Audible are not fitting for me on this one. This unbiased review was in exchange for a reviewer copy. It's even more unbiased by the fact that I played it to its audience: my younger kids (ages 11 and 6). Both of them enjoyed the story quite a bit, though my 11 year old had heard it before. Being a fantasy fan, though, my 11 year old noted that the manticore description was actually that of a pegasus, but this was proof of her multitasking skills at the time as she was listening while doing something else. The story is a great story for children and this rang true with my little focus group. It has many of the elements of fantasy that usually attracts children. It also shows consequences of actions. As is the case with many of the older classic books like this, the characters are able to be broad and less about subtle subtext. Children absorb that better. Karen's narration of the piece expressed this wide display of characterizations, ranging from the young prince to be king to the nurse's haughty attitude to the advisor's high-brow reactions. I've heard Karen use a number of voices between this and another book and she takes the British variations and plays with them in a way that allows the listeners to differentiate the characters easily. This is a short piece. Good for short attention spans of kids. They will really enjoy it. My 6 year loved it and when I asked how many stars I should give it he said "as many stars as you can!" 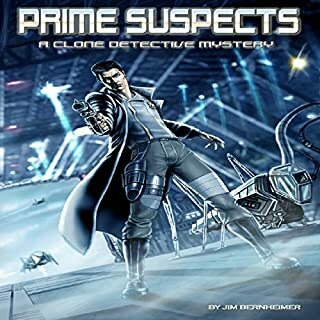 What did you love best about Prime Suspects? What was one of the most memorable moments of Prime Suspects? Yes, a non-fiction piece. This was different. 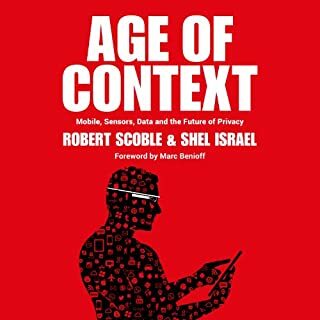 I'll admit that I went into this already of the opinion that Kafer is a strong narrator, having heard his rendition of Age of Context, but not sure what to expect from fiction. I had high expectations. I think he met them, but not the way I expected him to, which I liked even more. In every narrator you can gleam something different, some strength they have. Kafer has a real knack for the subtle. He was not broad with his characters (ironic given they were clones, right? ), but painted them together somewhat seamlessly so you rarely had trouble differentiating them and in the end I think that paid off rather nicely. Seriously 42 people of the same genes? It takes a Kafer to make that come across in audio! Yi, a retired soldier, has lost everything he loves -- his wife, his daughter, and his home. He seeks refuge from his heartache by plunging into a secret mission for the World Emperor. The assignment takes him to the doorstep of a brothel, where he witnesses the madam beating a young girl. Drawn by the child's striking resemblance to his lost daughter, Yi rushes to her defense and negotiates for her purchase - after all, how hard can it be to care for one little girl? 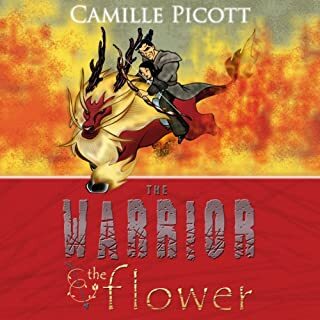 Where does The Warrior & The Flower rank among all the audiobooks you’ve listened to so far? I enjoyed listening to this a lot. The story was engaging and well worth listening to. Tulip. So full of innocent energy. Delightfully sweet and naive. I enjoyed the interactions between Master Yi and Tulip. While narrator of the story does sometimes have issues with the narration cadence, I thoroughly enjoyed the character voices. They were believable and well portrayed. I had no trouble following the characters and there were many. Maxine Lewis finds herself thrown into a world she never knew existed. What she does not expect is that she will become the prey in a game of wits to stay alive. Nate Jackson is the leader of a werewolf pack. Someone has been bringing the members to extinction. As their leader, it is up to him to find out who is behind the killings. This only proves to be more difficult to accomplish when Maxine is thrown into his protection. All the while, Maxine and Nate are being pushed further into the underground world of the vampires. I think it depends on the friend. My biggest issue here may be that I forgot that the variety of romance that this falls into as a subset can have what has been referred to as "quick romance". If I have a friend that likes that style, then yes, I would recommend it. I generally like Geraldine's style. This one just didn't resonate as well for me. 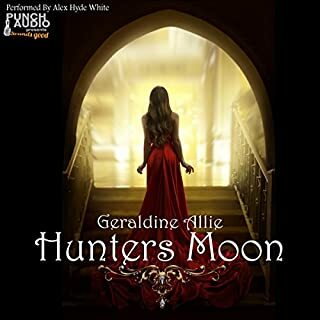 If you’ve listened to books by Geraldine Allie before, how does this one compare? I listened to the Hunters Moon story and liked that one a lot more. In this regard, this book was better. AHW's performance in Hunters Moon was a little slow for me but in this book he had his pacing much more in tune with what I like. I thought he did a really good job with that. Do you think Blood Moon needs a follow-up book? Why or why not? Yes. Here's the blunt truth of it all. I feel like Geraldine is testing her waters with her writing and we are getting appetizers. Well, there's a definite talent here. Expand the stories. Take us on the longer journeys. Questions were left unanswered and lots of opportunity to expand on things, esp for the main two characters and the issues with the conflict their relationship causes. There's a lot of potential there for some juicy drama. 1. The concepts of playing off of the vampire vs werewolf are time-honored and I think the use of this gives a nice opening for a wider audience. I'd love to see more character development, esp on the vampire side. more expansion of their perspective will add more layers of conflict that can be resolved. Conflicts within the pack would also be good to expand on. To this day, it is said that the descendants of the Fae left behind still wait for the return of the Seer's and guardians…As a young teenager, Victoria is sent to live with an Aunt and Uncle with a sinister and deadly secret. For over five years she has taken the harsh punishments from the hands of her evil Aunt and Uncle who have a craving for the blood of the Fae. Now a young adult, Victoria will come up against the biggest threat of her life to fulfill a prophecy; and find the one that history has destined her to be with, a Fae Prince who never expected to be made a prisoner by vampires. Would you listen to Hunters Moon again? Why? It's a hard question to answer because I don't tend to have time to listen again but I did enjoy this and certainly would have no qualms about doing so. Interestingly, I found Creature to be one of the more interesting characters, though of course one should root for the protagonist! Creature was probably one of my favorites, but I have a predilection of unusual voice characters. I smiled pleasantly through this. No extreme reactions. 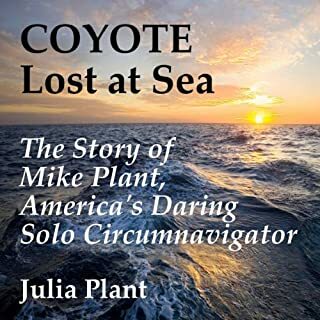 I have gotten to know the author a little but had not yet had the chance to hear/read her writing style and I was quite pleasantly surprised by it. There were some very clever moments in this story. I wanted to rate this a 5, but had to give it a 4. I felt that the story was strong and then suddenly took a rapid turn on certain parts and I would love to see Geraldine stretch her wings more on her subsequent books and really let her cleverness hold a more steady pace towards the end. The climactic scene happened a little too fast for me. 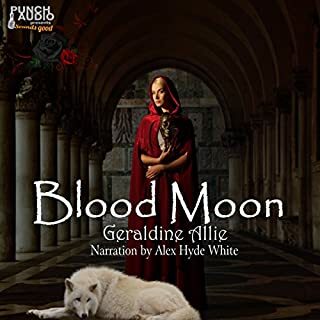 As for Alex Hyde-White, you have to hear the voice change at the very end in the credits to REALLY appreciate how well he converted his voice for some of these parts and I was most impressed by that. However, for my particular ears, I would have liked his pace to be just a tad faster. Overall great job. I'm looking forward to the next installment!